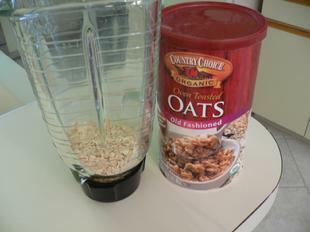 * If you don't have oat flour you can simply grind rolled oats in a blender. 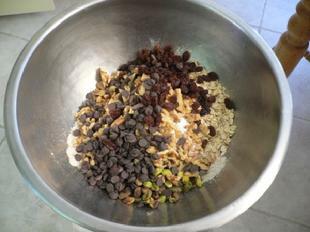 Gather first 10 dry ingredients. 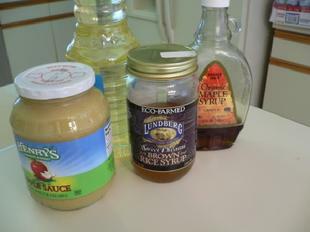 Maple syrup, applesauce, oil and rice syrup. 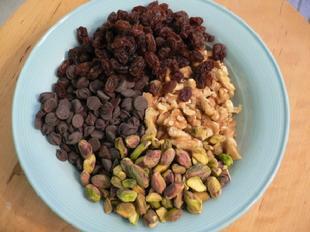 Measure wet ingredients and place directly into the bowl. 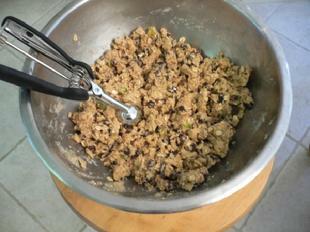 Mix all ingredients together by hand to make cookie dough. Press dough into scoop to make round balls. Place balls [about 30 total] on two sheet pans. 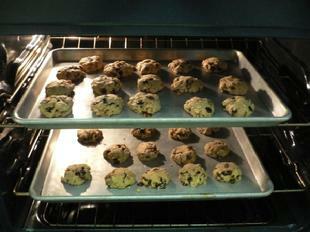 Press down dough to form cookie shape. 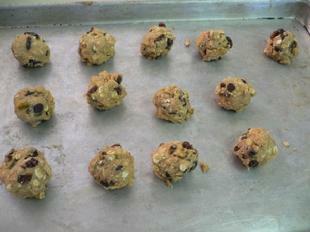 Place both pans into hot oven. Bake 10 minutes and switch shelves. Cookies on bottom shelf are now on top. Cookies for breakfast! 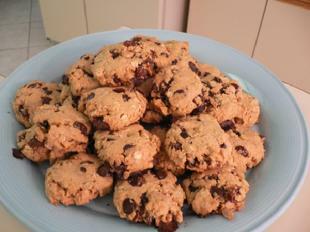 I love two cookies in the morning with a cup of coffee. To me, they are much better than a power bar. 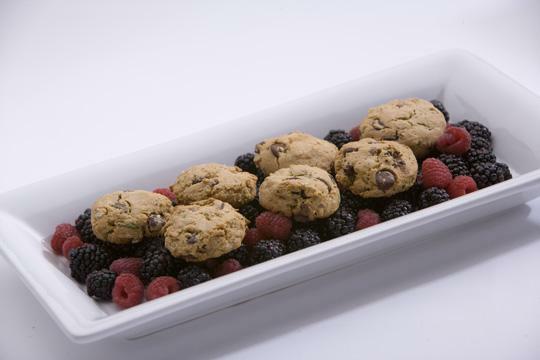 Think of them as power cookies. 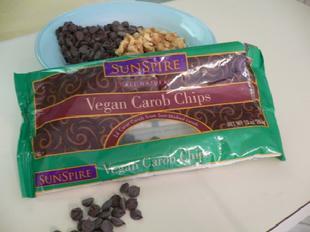 I love the vegan chips because they are not sickeningly-sweet.